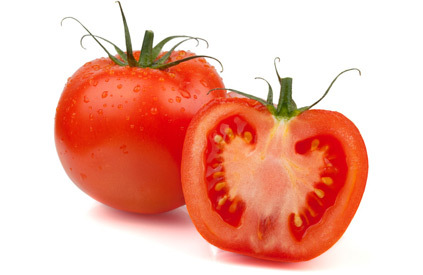 We buy only USDA #1 produce from local growers in season and from premier growing partners throughout the year. All Sunfresh Produce deliveries are made with industry leading branded products; no private label products of unknown sources are used. We are proud to announce we are Safe Quality Food (SQF) Certified by NSF International as of May 22, 2017 to SQF Level 2. 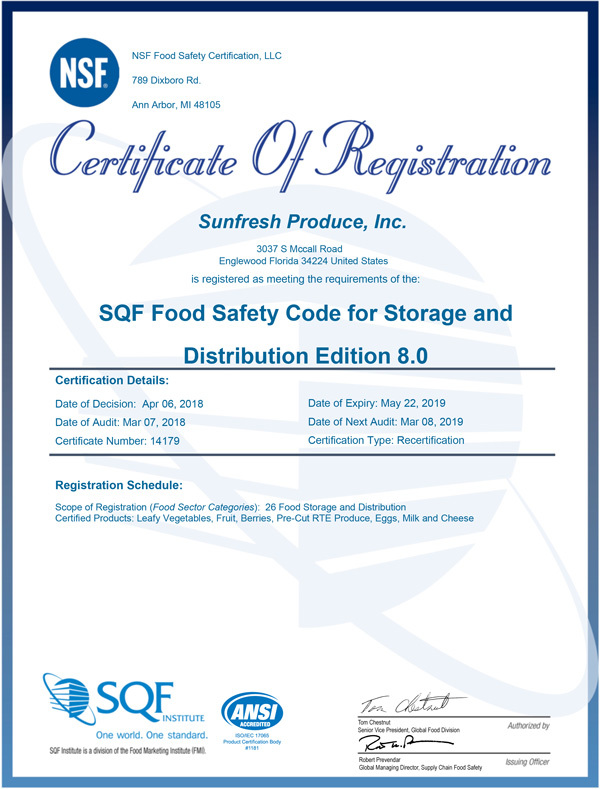 SQF is a rigorous, credible food safety benchmark certification recognized by the Global Food Safety Initiative (GFSI) and has become a requirement amongst the largest corporations in the food service industry. What does this mean to our customers?, It insures the highest level of food safety from a produce company, leading the way in SWFL. Our warehouse maintains exacting temperature and humidity controls, designed for the type of products stored in individual coolers. Our shipping and receiving area is also temperature controlled to ensure that all product is kept at proper temperatures from the farm to your store, helping to extend shelf life and protect against heat damage. 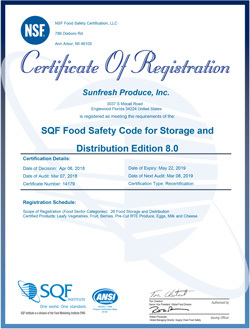 Sunfresh only works with certified growers, shippers and processors that follow strict food safety guidelines and have reliable traceability procedures set up so that if in the event of a recall product can be located quickly and efficiently. We are inspected annually by USDA, Florida Department of Agriculture and NSF International, an independent, third party risk management and food safety company. Our January 14th, 2016 inspection score was a high 97%. We are bonded, insured, and licensed by PACA, Florida Department of Agriculture, FDA, & USDA.